There will be We will ship without signature required unless otherwise requested. Please note that items ordered together may not arrive in the same package. Large items will be shipped via freight carriers. Shipping via Freight Carriers: Any packages weighing over 150 lbs. and/or over 108″ in length and/or over 165″ combined size (length + width+ height) must be shipped using a Freight Carrier. There are additional costs with removing tfree shipping on all orders over $150.00 up to 150 lbs. Badger Mats, LLC reserves the right to add shipping costs for any packages weighting over 150 lbs. and /or over 108″ in length and/or over 165″ combined (length+width+height). Such packages must be shipped using a freight carrier and acquire increased shipping fees. All orders will be held until additional shipping costs have been incurred. All orders will be shipped within 7-10 business days unless a product(s) is on back-order, via UPS, FedEx Ground, or LTL Freight when appropriate. FOB (also known as f.o.b.) Shipping applies to all orders. Shipping cost is determined by items’ size, weight, and destination address. Expect custom cut matting and logo mats to be shipped in approximately 7-14 days. he products off the truck and transporting them to indoors. The freight cost to use a Freight Carrier will be incurred by the Customer and paid directly to Badger Mats LLC. The Freight Carriers will deliver items to the shipping address, however they will not unload products from the truck or move products to a desired location. A “Lift Gate Service” and “Indoor Delivery Service” is available for an extra fee of $159.00 or more per Service (charges incurred by the Customer) depending on the size and weight of delivery. The Lift Gate Service is only to take the products off the truck. The Customer is responsible for removing the products from the lift gate area and any transportation after the Lift Gate Service is completed. The Indoor Delivery Service is used to have the freight company move the products from the lift gate area and transport the product to indoors. If the Customer elects to use either of these Services (or any other additional freight service), they need to obtain permission from Badger Mats LLC and the fees must be either pre-paid by the Customer or the Customer will automatically be charged after the delivery of the goods. *If a Customer is unable to receive their products when they are delivered, Customers may be subject to a storage fee of up to $100.00 or more per day (depending on size and weight of Delivery), as well as a re-delivery charge (subject to size and weight of Delivery). Defective or Damaged Products from Shipping: The customer is responsible for inspecting the product before accepting delivery. If the product is defective or damaged, the customer must refuse it, take pictures of the package prior to opening it. If customer does not refuse defective or damaged product, Badger Mats is not held liable for product replacement. Any damages or shortages should be documented on the freight bill and must be reported to Badger Mats within 3 business days. Badger Mats LLC is not responsible in any way (including, but not limited to, legal responsibility) for any defective products sold, misuse of any products sold, or negligence by the customer. 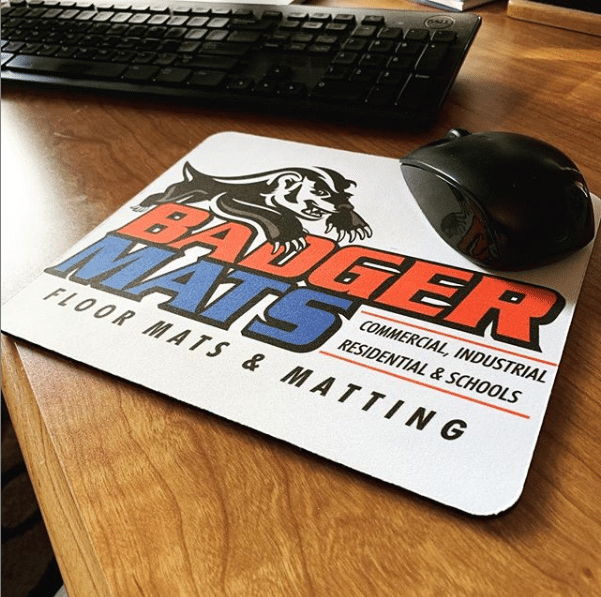 Badger Mats highly recommends and requires all customers to make sure they have received the proper product(s) immediately upon receipt. Be sure the products are in proper working order and ample condition before use. In addition, we urge all customers to become fully educated on their product(s) before using them.